A Brighton bus company has been awarded half a million pounds from the government towards cleaner and greener buses. The £500,000 pot was handed to The Big Lemon under the Low Emission Bus Scheme for three electric buses to be used in Brighton and Hove. The three new buses will join the company’s fleet which already includes two electric buses, one electric mini bus and coaches run on cooking oil. Norman Baker, former transport minister and managing director of The Big Lemon, said: “The future for bus travel is electric and solar power, very environmentally friendly, so that people can feel good about using buses. He said the two electric buses already owned by The Big Lemon are ‘the first in the city’ and ‘the first ones in the country that are solar powered’. 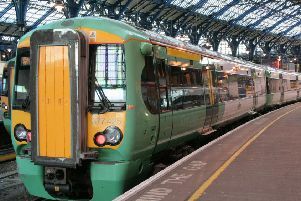 He added the move towards electric buses was important in cities like Brighton with high pollution levels, and that fellow bus firm Brighton and Hove Buses is ‘interested in following suit’. Transport minister Paul Maynard said: “The Big Lemon’s plans will make a real difference in cleaning up emissions from buses in the local area. New greener buses will be more comfortable for passengers, they are cost efficient and are good for the environment. The move was part of an £11 million scheme, giving local authorities and bus companies around the UK funding towards 153 new cleaner buses. Other areas to benefit include in Bristol, York, Surrey, Denbighshire and Wiltshire.